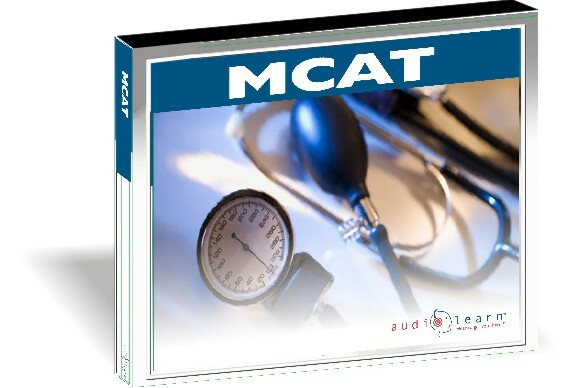 Planning to take the MCAT? Try these sample MCAT test questions to assess your preparation and see where to focus your study time. Answers are provided at the end of all the questions..
Before the United States was governed by the Constitution, it was governed by the Articles of Confederation. The Articles of Confederation were largely ineffective, because they gave too much power to the states and too little to a central government. Many historians now say that the best thing about the Articles were that they showed the authors of the Constitution what to avoid. Part of the Articles was the Land Ordinance of 1785, a plan created by Jefferson for dividing the Western land into organized townships. The sale of land in these territories helped generate money for the new government. The Northwest Ordinance of 1787 divided the land above the Ohio River into five territories, which would soon become states. This ordinance would become the model for how all future states would be formed. Both the Americans and the British violated the terms of the Treaty of Paris, which had ended the Revolutionary War in 1783. The British, for instance, never fully abandoned their lucrative fur trade in the Ohio Valley . Americans, on the other hand, never paid back their pre-war debts. Meanwhile, the Spanish (who controlled Louisiana and Florida ) openly challenged American borders in the South, at times encouraging Native Americans to make war on the fledgling nation. Americans sought the right of deposit on the Mississippi ; that is, the right to load material from a boat to a dock. The Spanish were not quick to grant this right. Meanwhile, American ships were forced to pay tribute to the Barbary states in order to trade in the Mediterranean . After the Revolutionary War, the United States found itself in a massive and troubling debt. Meanwhile, Congress was having a hard time passing any legislation, because in order to be made into law a bill had to receive 9 of 13 votes, and there were often fewer than 10 representatives present. The government had no chief executive, and so law enforcement was left up to the states. Another major problem was that the lack of a central court system made it hard to resolve disputes between citizens from different states, or between the states themselves. Congress did not have the power to tax the people directly, and could only request funds. Furthermore, although Congress could issue currency, it had no authority to keep the states from issuing currency of their own, so wild inflation and depreciation were common. Under the Articles of Confederation, Congress did not have the power to raise an army directly; it could only ask for troops from the states. The problems with this arrangement were amply demonstrated by Shay’s Rebellion in Massachusetts in 1786 and 1787. This rebellion was in part a response to the economic uncertainty by competing currencies. Under the Articles, Congress did not have the power to regulate inter-state or foreign commerce. Each state in the confederation had different tariffs and trade regulations, and no foreign countries would enter into trade agreements with a nation so disorganized. In short, the Articles of Confederation left America unable to maintain order at home, unable to gain respect abroad, and unable to improve its economy. 2. Based on the passage, what was one problem faced by the federal government? It had very little money. It could raise an army quickly. The executive branch had too much power. It attacked other countries too often. 3. What is one likely reason for the errors of the Articles of Confederation? The men who created it were evil. No government of this kind had ever been created before. The state governments sabotaged its creation. There was not enough money to fund the creation of the Articles. 4. Which word best describes the United States relation to foreign powers? 5. Which office did not exist under the Articles of Confederation? I. It is a place to resolve disputes between the states. II. It is a place to resolve disputes with foreign nations. III. It is a place to resolve disputes between residents of different states. 7. What deficiency in the US government was underscored by Shay’s rebellion? The inability to quickly raise an army. The inability to defend itself from other countries. The inability to pass legislation. The inability to regulate trade. 8. If the Articles of Confederation had been kept, what would have been the likely result? They eventually would have worked. The states would have become individual nations. The United States would have been conquered by France. The president would have called a meeting. 9. Why was there so much inflation and depreciation of currency? There was too little money in the system. There was too much money in the system. The federal government had no money. The state governments had no money. 10. In order to be successful, what did the next Constitution need to do? 1. (C). The balance of power between state and federal government was the main problem. 2. (A). Under the Articles, the federal government had very little money and very few ways to raise money. 3. (B). The founders of the United States were inventing an unprecedented form of government. 4. (A). The United States was unable to protect its rights from attacks by other countries. 5. (B). There was no executive branch under the Articles. 6. (D). Central courts allow for the resolution of conflicts between states and their residents. 7. (A). The federal government was unable to respond quickly to Shay’s Rebellion. 8. (B). The states were already operating as virtual nations. 9. (B). States were allowed to print as much money as they wanted, flooding the economy. 10.(B). Clearly, the weakness of the federal government was the chief problem with the Articles.